Thank you for your patience. The Mount Rainier Pool will re-open on Monday, January 14 for lap swim, family and open swim, water aerobics and our swim and dive teams. On Thursday, January 10, we will be updating the schedule and announce swim lesson registration information. You deserve a great place to swim and take lessons. The Mount Rainier Pool received its second round of maintenance to help catch up on deferred maintenance, which included critical repairs to the roof, spalling bricks, clerestory windows and sealing the exterior with anti-graffiti paint. Why is having a public swimming pool important to a community? Lifeskill (Safety): In a community like Des Moines that borders Puget Sound and has three lakes within walking distance, water safety should be paramount to families. The ethnic diversity of our community also contributes to susceptible to drowning. Each year, more than 3,400 people drown in the United States according to the Centers for Disease Control and Prevention (CDC). Children younger than 14 have a higher a rate of drowning than the total population. In the United States, nearly 70 percent of African-Americans, 60 percent Latinos and 40 percent of Caucasians cannot swim according to a national research study conducted by USA Swimming Foundation and the University of Memphis. Open to New Experiences: Being able to swim allows kids and adults enjoy water-based activities such as kayaking, canoeing, paddle boarding, scuba diving, surfing, triathlon, boating, water skiing, jet skiing and rowing. It also makes kids and adults safer attending events are water parks, beaches, lakes and summer camps. 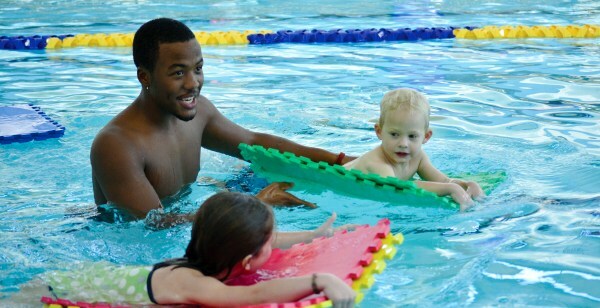 Increased Academic Success: Being able to swim has been proven to increase academic performance. A study in the U.K. showed that children that swam were 1.5 times more likely to reach a higher aptitude in a standardized math test. A Spanish study of competitive swimmers showed 89.3% had higher than typical grades.